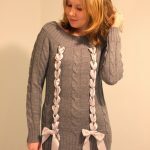 After seeing this post on one of my new favorite blogs, A Pair and a Spare, I decided to make my own sweater by combining two that had coordinating colors. 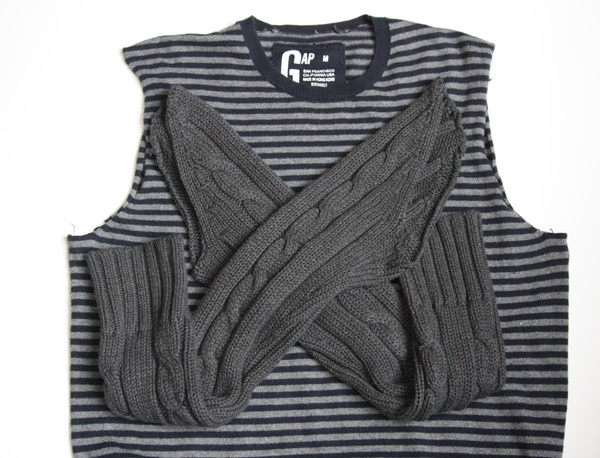 I loved the combination of striped and chunky cable-knit sleeves! 1. 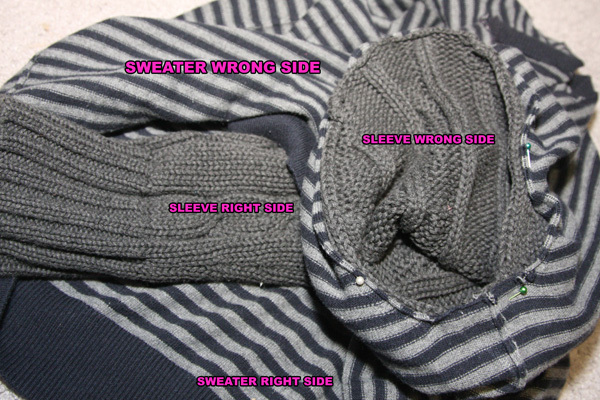 Separate the sleeves from each sweater. 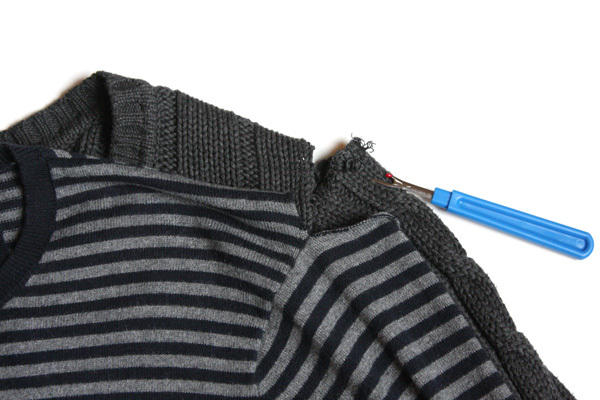 You need to find the thread that binds the sleeve to the armscye, and cut it with the seam ripper, opening up the seam a little. 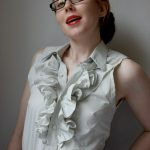 Then, working from the center of the seam, try to pull the thread from in-between the sleeve and the armscye. 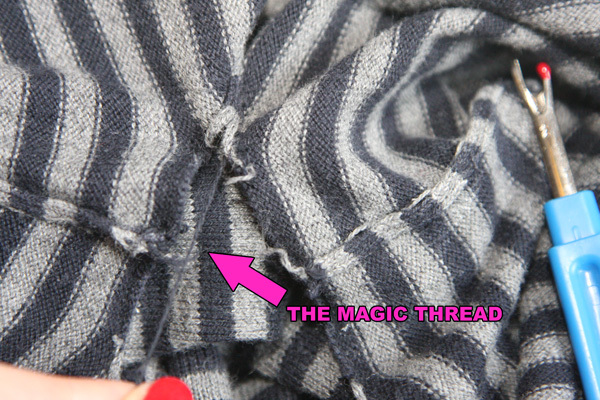 If you get it just at the right area where the thread end is in-between the two (it’s a little tricky), you can pull the thread and the whole seam will come apart – zzzzzpth!! 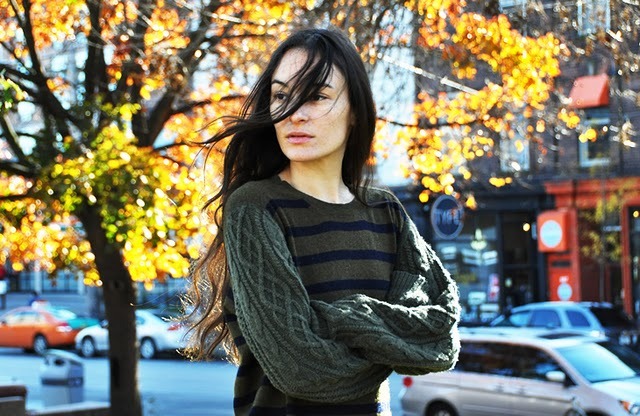 (*that’s my sleeve-coming-apart sound effect*). It’s a lot easier than going all the way around the seam on the outside, picking and ripping each stitch as you go. 2. 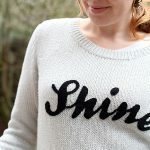 Pin the sleeves from one sweater to the armscyes of the other sweater, matching the side seams, and easing any fullness (sweaters are stretchy, so easing is…well, easy!). 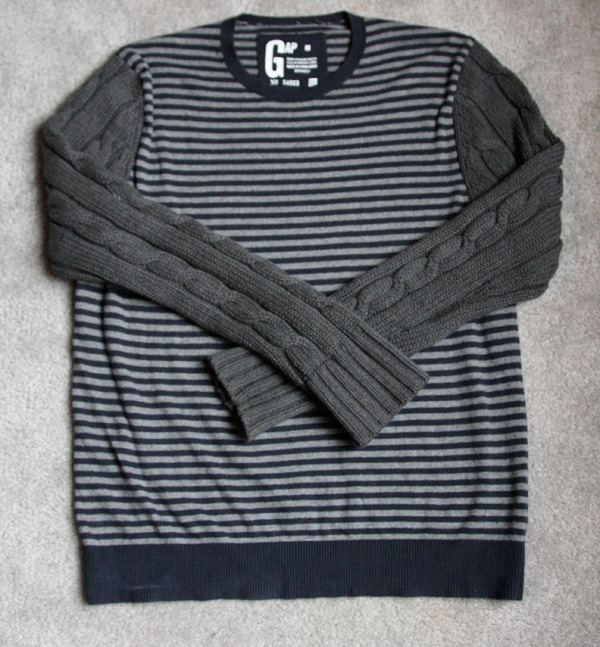 Pin from the inside, with sleeve inside the body of the sweater, right sides together. 3. 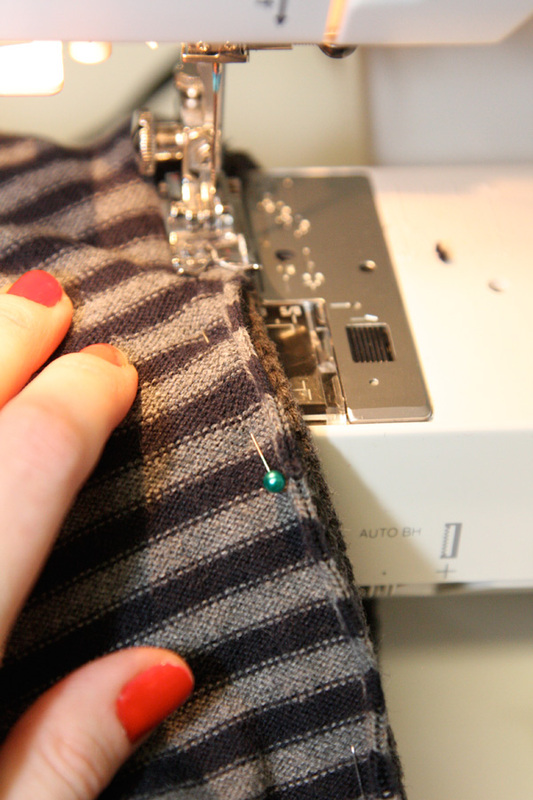 Stitch on your machine around the armscyes, using a shorter stitch. 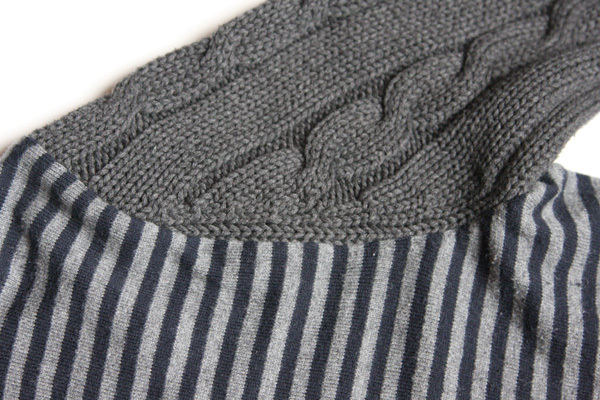 If you like, going over the edges again with a zigzag stitch or overcast stitch will add extra strength. If you’ve sewn close to the edges, the new seam will be virtually indistinguishable from the outside. I love this idea! I am totally going to have to try it.